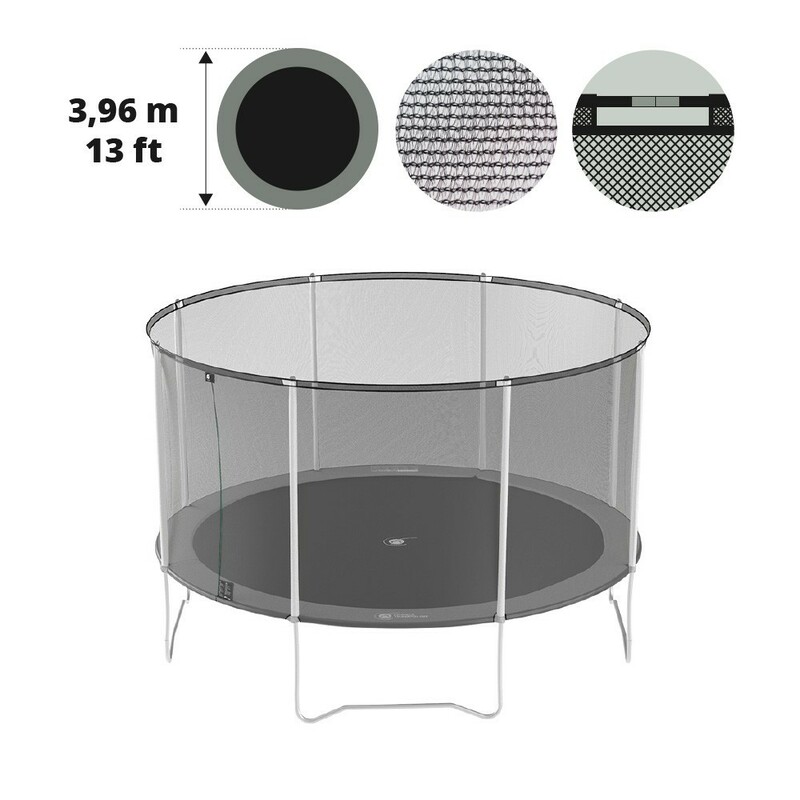 Safety net for round trampolines with a 13ft. 390 diameter - X junction components - 8 net posts. 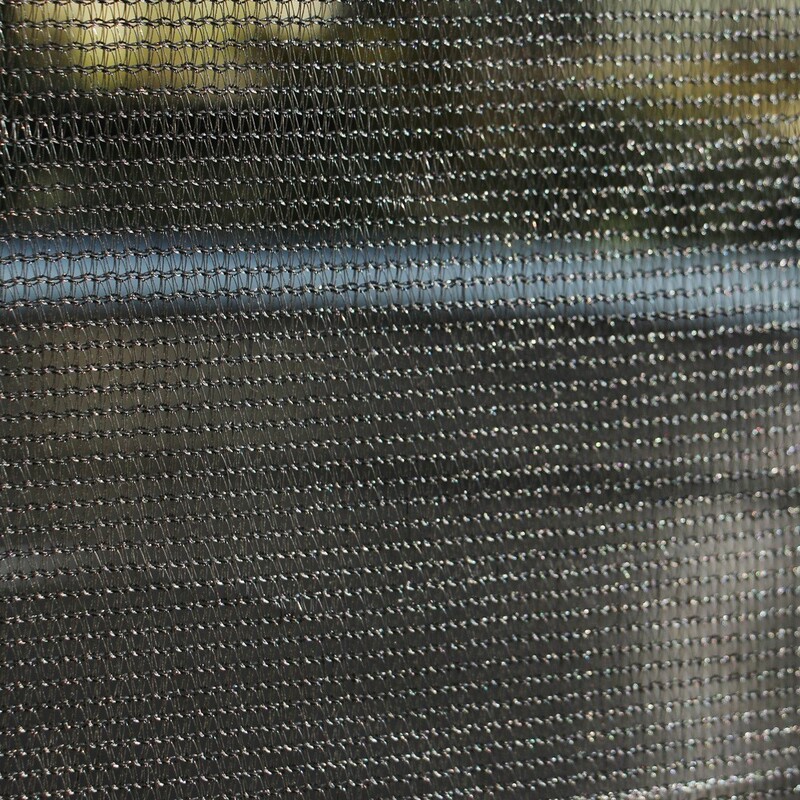 Is the net on your safety enclosure getting old? You should renew it to keep your jumpers safe . 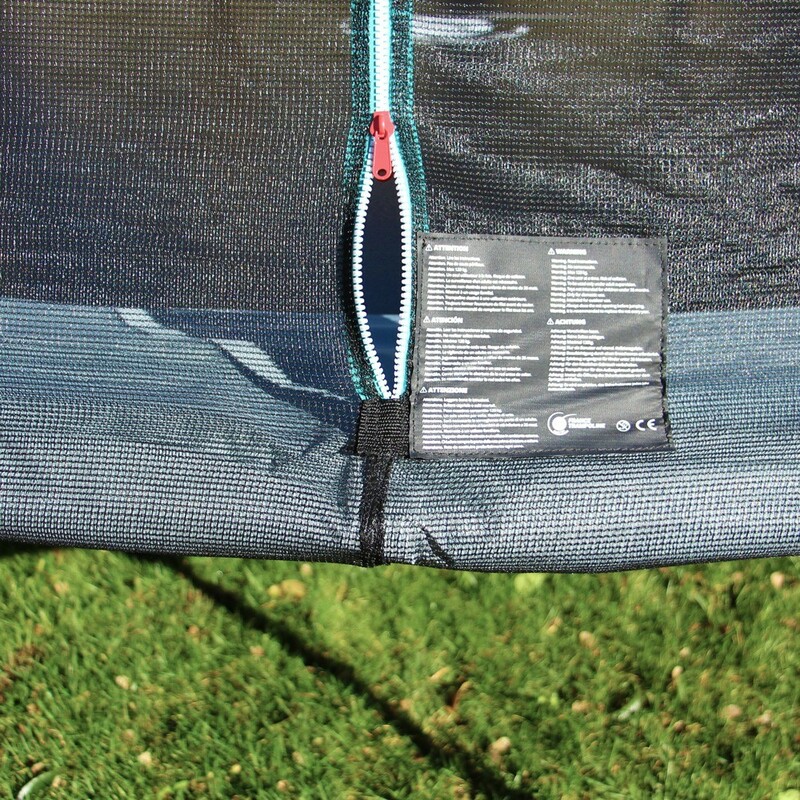 - This safety net is compatible with all round trampolines that have a 390cm/13ft. diameter, X junction-components and 8 net posts (do not go straight to the ground). 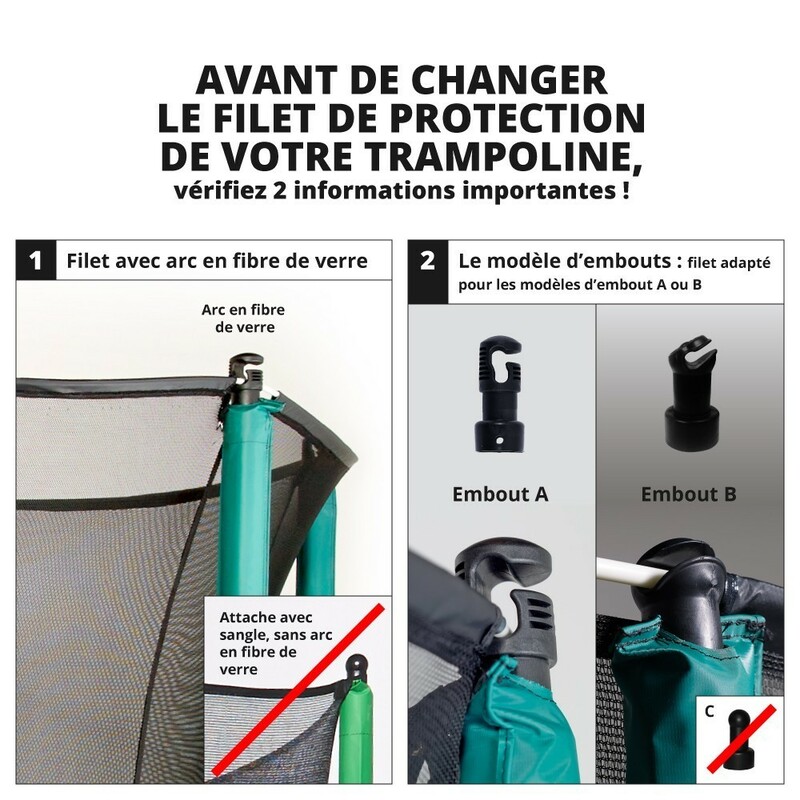 - All our safety nets are made from a 100g/m² PE polyester, a material that is known for its quality and its resilience. 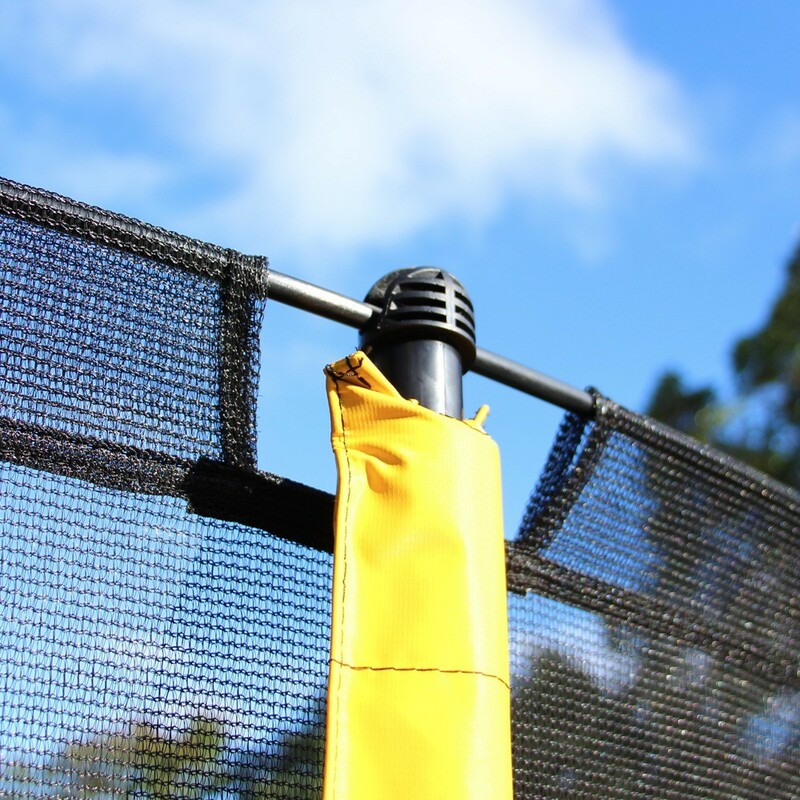 The safety net has been treated against UV rays in order to prolong its longevity. 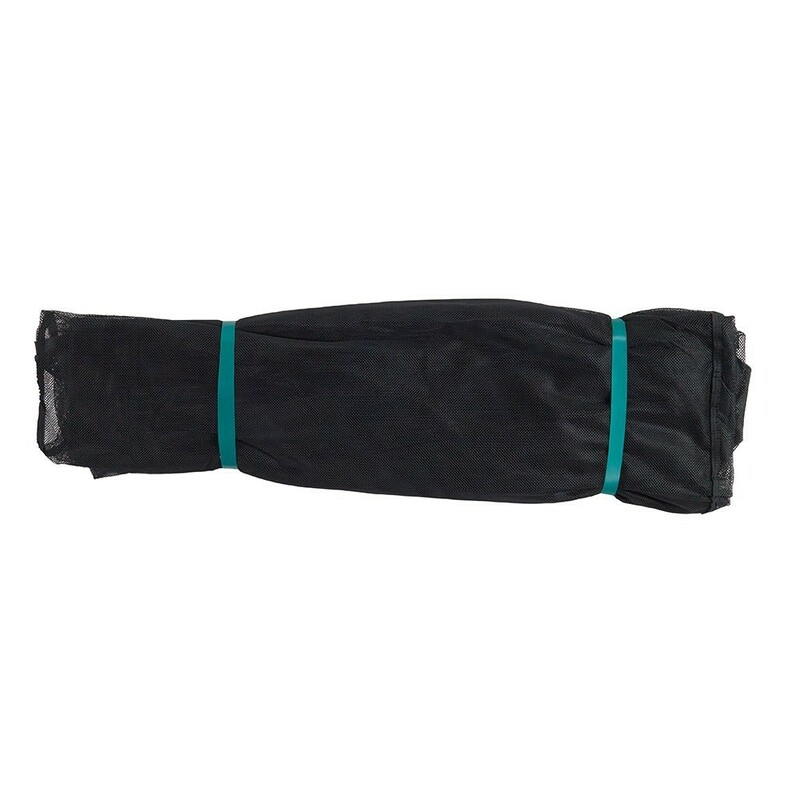 - Quick and easy to install, you just need to tension your net by using the fiberglass rods (sold separately) and attach the tensioners under the frame pad. 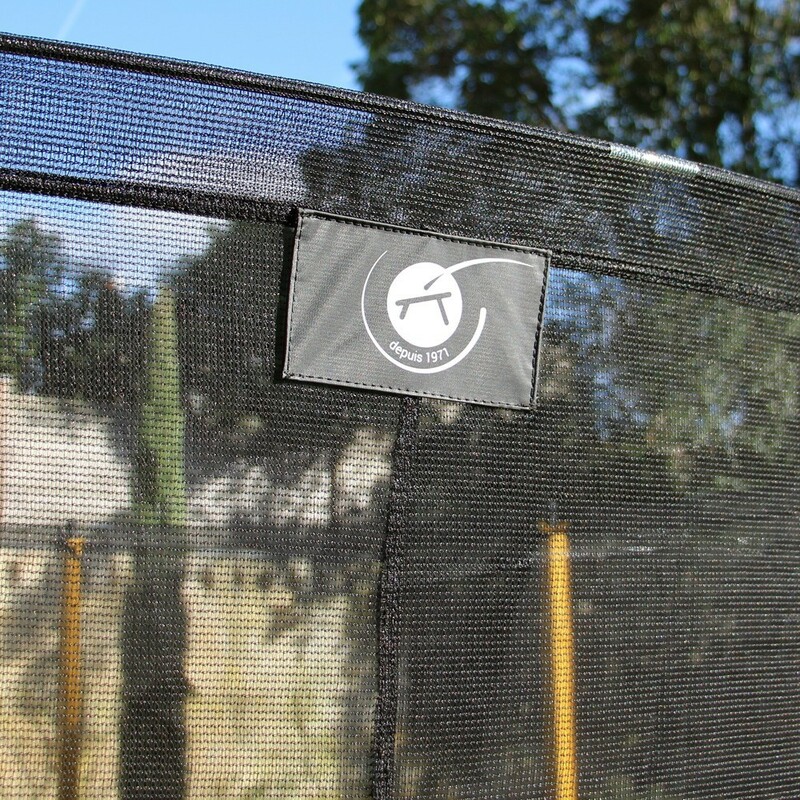 - Extra fine mesh, soft to touch, also prevents children from getting their fingers caught. 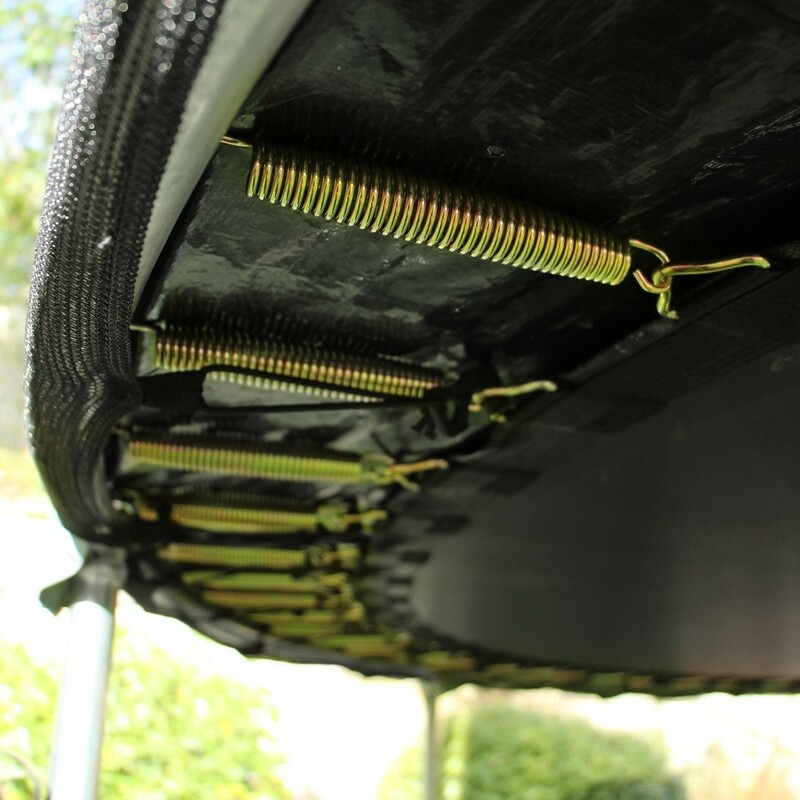 - Access to trampoline jumping mat is through an "i" zip door opening.